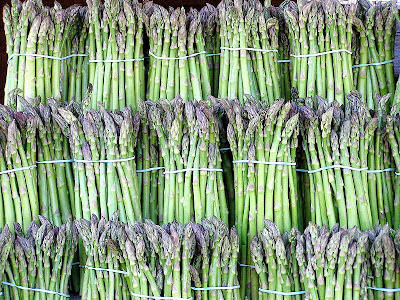 Asparagus when bought in the supermarket are usually imported and they usually do not have the same delicious flavour compared to when you grow your own produce. If you are going to grow asparagus at home you can either grow from seed or buy plants. Buying asparagus plants is a quick way to get started, typically retailers sell 1 or 2 year old plants. However, as with many crops the choice of varieties is often not as wide as from growing by seed. There is also the risk of failure with bought plants, and a small percentage will not establish well. Personally I prefer to grow from seed but the choice is entirely yours. By growing asparagus from seed usually gives the best results, and generally you will end up with more plants than you need. You can sow either in pots first or directly into the ground, if you opt for direct sowing then there is no transplanting or root shock to delay valuable root development. Asparagus should be sown to the ground in April when the ground is warm enough to initiate germination, as with many seed it is worth soaking the seed first. First rake over the ground where you intend to sow the seeds into a fine tilth, then mark out rows roughly 5cm deep and abut 30-45 cm apart, then sow the seed thinly into the rows. Once sown water in well with a fine spray. Your seeds should germinate and be visible within about 3 weeks, at which point you should thin them out to about 5cm apart. Allow them to grow to 15cm (6inch)or so and thin them out again to 30-45cm apart. Keep the bed weed free and allow them to grow for the first year. Some varieties are best sown indoors (a good example is the popular variety 'Connovers Colossal') the best time for this is during February and March. As with direct sowing it is worth soaking the seed for a couple of hours first. Plant the seed into individual plugs or cells containing a good quality moist seed compost. Place the pots in a warm room and once germinated, move to to a cooler well lit area such as a windowsill, avoiding direct sunlight. By May you will need to start hardening them off which can take between 2-3 weeks before planting into your asparagus bed. You can plant them fairly deep, roughly 5cm below the compost level, and water well. 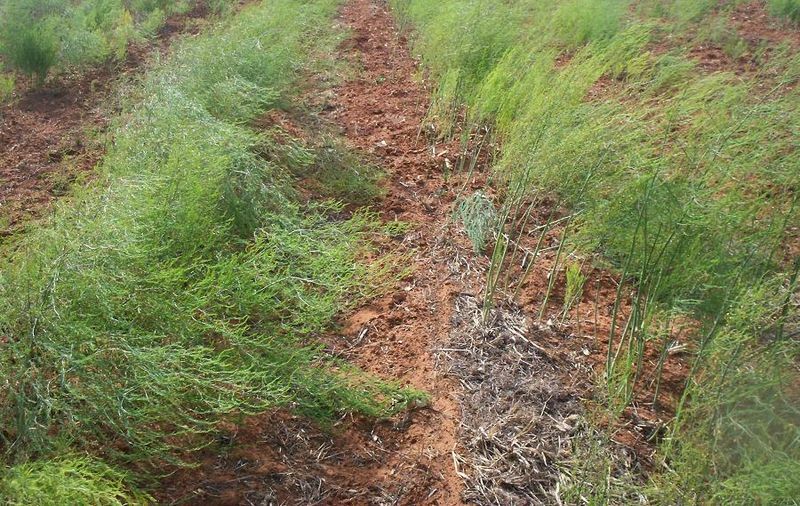 Although it takes longer to establish an asparagus bed from seed you get a wider choice of varieties but will probably be a year or so longer before you can harvest your produce. 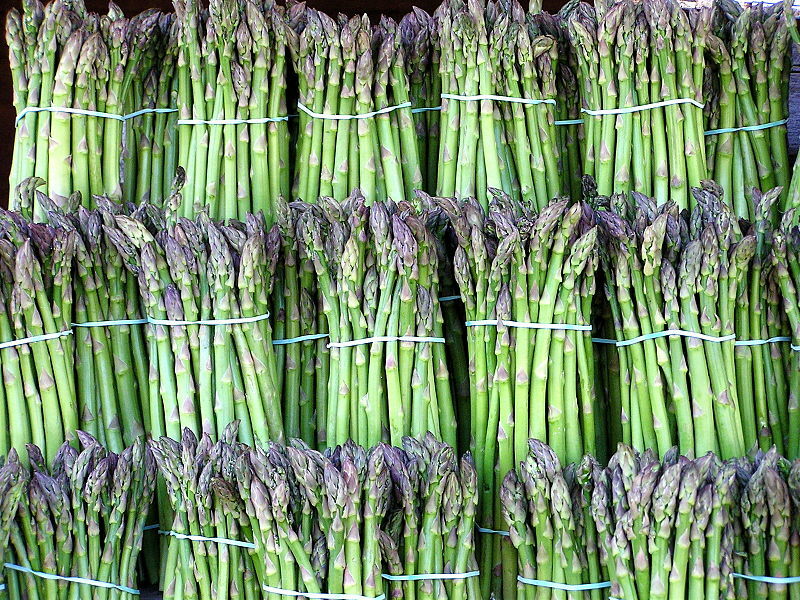 Asparagus shoots can be harvested in the late spring when the new tips are about 15 cm tall. Typically you will be able to harvest for a further six to eight weeks into the early summer. Don't be tempted to harvest plants younger than 2 years as this can weaken the plant, let them get well established first. 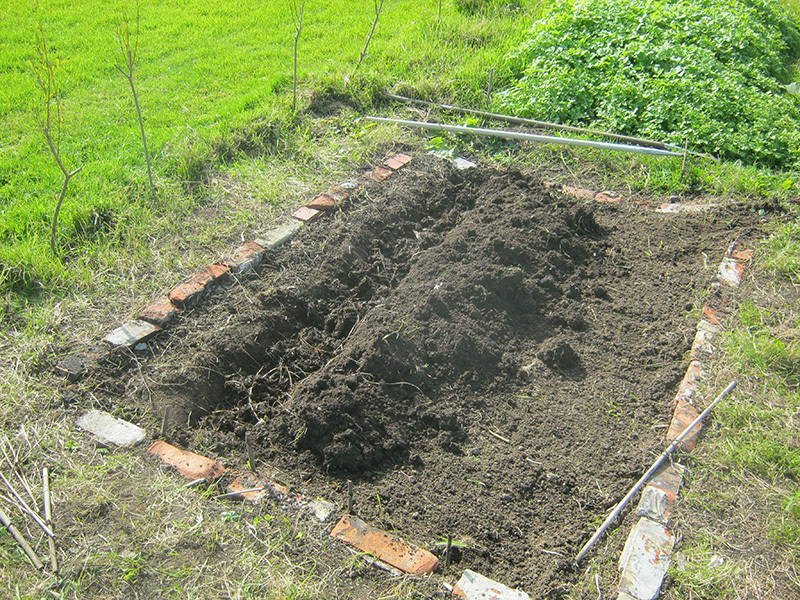 You can prepare your new asparagus bed from the autumn before planting, although time is now of the essence. Asparagus likes well drained soil and can cope in most soil types,however with heavy clay it is worth growing them in raised beds. Dig the area over well and then work in lots of well rotted manure. Asparagus do best in a soil with a pH of between 6.5 and 7.5, so if you are on a particularly acid soil add lime. As with any new planting bed remove all weeds and get the roots out from perennial pests such as dandylions. If you are on a windy site then some protection from the winds should be given to stop the plants getting damaged before they establish. In subsequent years you should mulch the area with well rotted manure or home made compost, and you will get years of enjoyment from your crops.